This is a workplace project with a difference. 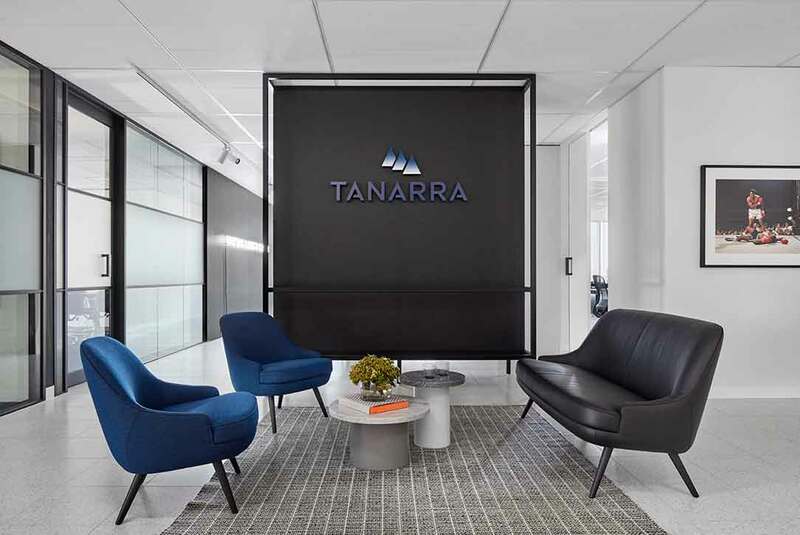 Reflecting the collaborative spirit of this young private equity company and the founder’s passion for art and culture, the Tanarra fit out borrows from the modular frames of gallery spaces. 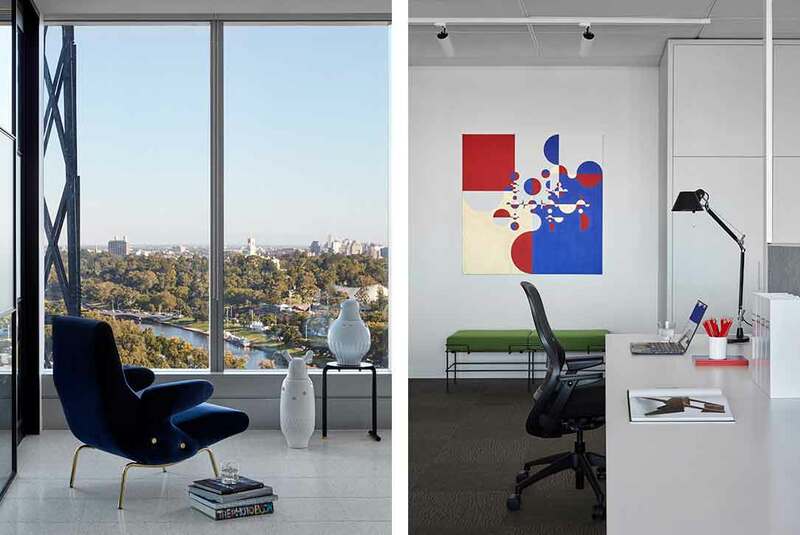 This need was also driven by the client’s desire to use the office to display their impressive collection of contemporary art. The key to creating this elegant ‘blank canvas’ was the spatial configuration, a crucial component of this being the central spine. 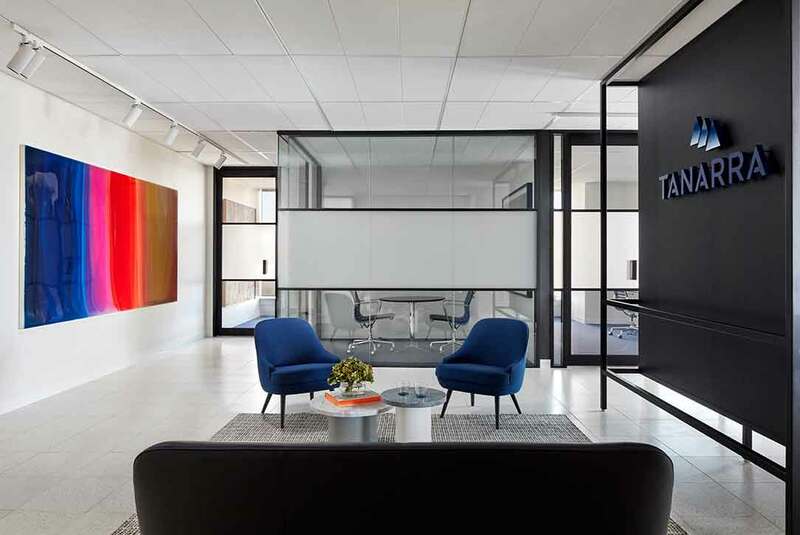 This linear element divides the space into work floor and meeting rooms on either side, while also acting as a collaborative break-out space, where staff can socialise with tables, kitchenette facilities and a concealed drinks bar. Freestanding walls, panels and joinery were also added to maximise hanging space including for a neon artwork. 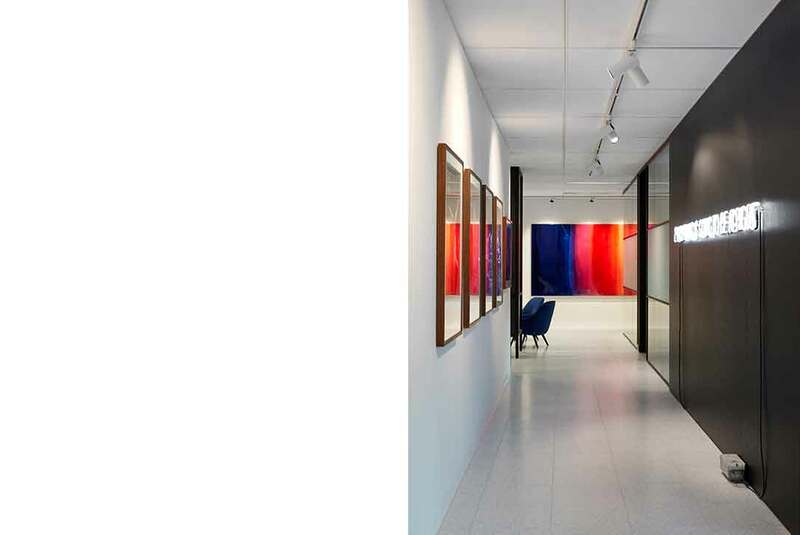 The palette was kept monochromatic and minimalist to align with the gallery sensibility, the colour is found in the art. 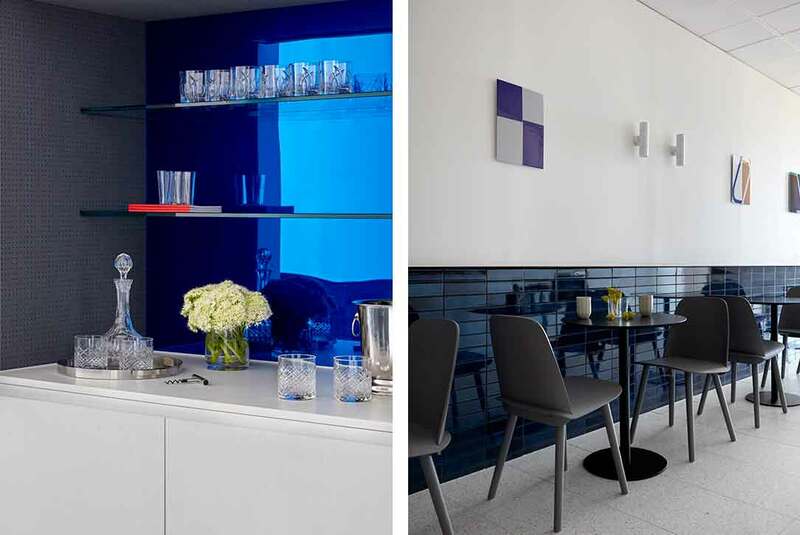 Flashes of deep blue in tiles, carpets and soft furnishings are a subtle nod to the corporate colour.